Â The National non-profit teen driving program is celebrating 11 years of teaching young drivers how to â€˜arrive aliveâ€™ in communities across the U.S. Tire Rack has added 10 additional programs to its 2013 lineup during National Teen Driver Safety Week, October 20-26. Tire Rack Street Survival, a national non-profit teen driving education program, is celebrating its 11th anniversary. In an effort to continue to combat teen driving fatalities in the U.S. during the nationally recognized week, Tire Rack Street Survival has completed to date, 70 Tire Rack Street Survival programs already in 2013. Additionally, there are 30 open for registration across the U.S. Kicking off National Teen Driver Safety Week will be two programs, held October 19 in Houston, Texas, and Port Orchard, Washington. There were also six programs across the country during that week in Gypsum, Colo.; Richmond, Va.; Geneva, Fla.; Joliet, Ill.; Topeka, Kan.; and Raleigh, N.C. In an effort to raise awareness about the importance of teen driver education, Congress enacted National Teen Driver Safety Week (to take place the third week in October each year) in 2007. In 2011 alone, there were more than 5,000 young drivers (ages 15-20) involved in fatal car crashes. More than 1,900 teens lost their lives, and 180,000 were injured behind the wheel . According to the National Highway Traffic Safety Administration, this translates to a young driver being involved in a fatal car crash nearly every two hours in the U.S.
â€œThe goal of the Tire Rack Street Survival program year-round, and especially during National Teen Driver Safety Week, is to save the lives of our young drivers by showing them firsthand how to control their vehicle in real-life driving scenarios,â€ said Bill Wade, national program manager, Tire Rack Street Survival.â€ Few teens are really prepared to get behind the wheel of an automobile, and many donâ€™t realize the danger it can present. The programs are conducted by local member volunteers from regional chapters of the BMW Car Club of America (BMW CCA), the Sports Car Club of America (SCCA), Porsche Club of America (PCA) as well as other car clubs. Driving their own vehicles, students are supervised Â by experienced driving coaches. Unlike traditional driver ed programs based on theory and simple maneuvers, Tire Rack Street Survival improves driver competence through hands-on experiences. 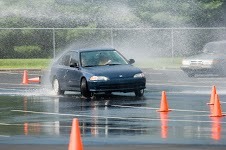 Students learn emergency braking, skid control, how to correct oversteer and understeer situations, and how to avoid accidents by properly controlling their vehicle. The Tire Rack Street SurvivalÂ® is built on the premise that ‘safe driving is learned by doing. Drivers are taught to avoid accidents by thinking and looking ahead. Tire Rack Street SurvivalÂ® is unique in that it offers students instruction in their own cars so that they learn the limitations of themselves in their everyday vehicle. Americaâ€™s largest independent tire tester and consumer-direct source for tires, wheels and performance accessories, Tire Rack is located in South Bend, IN. 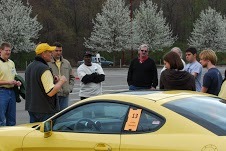 For those interested in learning more about Tire Rack’s Street Survival Program, call 502-649-4871. The first thing one notices about the 2013 midsize Ford Fusion is its frontend: a grille that resembles an Aston Martin. Expressive and impressive: A much different looking car than its predecessor. Available in three trim levels (S, SE and Tintanium), Fusion has three available engines: 2.5-liter, 4-cylinder with six-speed automatic, a turbo 2.0-liter EcoBoost 4-cylinder with six-speed automatic or 1.6-liter EcoBoost with six-speed automatic or six-speed manual transmission. Our test Fusion came equipped with the 2.0-liter, 4-cylinder EcoBoost that offered plenty of power and turbo feel. In fact, one had to be careful not to give herself a whiplash when accelerating. Brakes were very touchy also; barely a tap and the Fusion jerked (panic brake assist). That took some getting used to. Extensively redesigned for 2013, the Fusion midsize sedan is a handsome vehicle. Resembling what now seems to be the benchmark Korean sedans, Fusion has come into its own. Easy to see how this sedan has become a favorite of many consumers today, bringing Ford back into the fay, no doubt. Safety features abound, as with other cars in this class and includes AdvanceTrac electronic stability control, traction control, LED taillights, security system and eight airbags, and tire pressure monitoring system. A five-passenger sedan, Fusion sports a front-wheel-drive configuration as standard and all-wheel-drive as an option. A wide range of powertrains are available in the Fusion to suit your fancy: gasoline, hbrid and plug-in hybrid. Replacing the previous 6-cylinder engine are several 4-cylinder choices. Not to fear, though, as these are powerful enough (if not more) engines to pass any test. The standard 2.5-liter, four is rated at 175 horsepower. Available for 2013 are two new engines: a much more efficient turbocharged 1.6-liter 4-cylinder EcoBoost (178 hp.) and a turbocharged 2.0-liter 4-cylinder (240hp., 270-lb.ft. torque). The 2.0-liter undoubtedly delivers the best acceleration performance, and because the engines are smaller, fuel economy doesnâ€™t suffer. Ford also incorporates the electric-assist power steering and (optional) automatic Start/Stop feature, teamed with the 1.6-liter EcoBoost engine. EPA fuel economy: 25/31 mpg. The five-passenger 2013 Ford Fiesta hatchback carries over from 2012 with only minor upgrades, and a new top-of-the-line model, the Titanium (standard leather seats). We prefer the hatchback to the Fiesta sedan, both in looks and sportiness. Extra room is a plus too. Offered in three trims: S, SE, Titanium, Fiesta competes with some powerful subcompacts, including Hyundai Accent, Toyota Yaris and Fiat 500. Pricing runs from $14,077-$16,049. Our test SE hatchback topped out at $18,925. Power is provided by Fordâ€™s 1.6-liter, four-cylinder engine, with 120 horsepower. The five-speed manual transmission shifts effortlessly and climbs to a decent on-ramp speed. 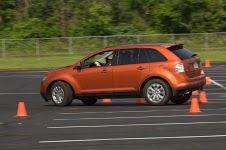 Fordâ€™s advanced six-speed PowerShift automatic transmission is optional. Much more fun in this little runner when youâ€™ve got the manual speed, though. Standard features remain the same on all models and include A/C, power body-colored mirrors, tilt/telescoping steering wheel, capless fuel filter system, auxiliary audio input jack and electronic power-assisted steering. The higher trim levels (SE, Titanium) throw in cruise, keyless entry, SYNC hands-free communication/entertainment system, power window/door locks and satellite radio. Drivers can opt for extras like heated seats, passive/entry/start system, power moonroof and leather seating. For those wanting maximum efficiency, Ford offers a Super Fuel Economy (SFE) package. Safety features include AdvanceTrac electronic stability control, seven airbags (driver knee airbag), tire pressure monitoring system, engine immobilizer and four-wheel anti-lock braking system. Our test SE came equipped with two options: Equipment Group 201A (SE appearance package, SYNC w/MyFord Touch/Satellite radio, 16â€™ painted aluminum wheels ($995), and comfort package (heated seat first row cushion, dual power heated side mirrors, electronic auto temperature control, navigation ($795). Fiesta is a quiet, smooth-riding subcompact hatchback. Whether youâ€™re driving consists of mostly around town, or over the long haul, this is an easy little car to drive and maneuver. With Fordâ€™s tilt/telescoping steering wheel and adjustable seating, drivers of most sizes will feel comfortable behind the wheel. Although a subcompact, Fiesta doesnâ€™t feel small, or so insignificant that it canâ€™t take on the likes of SUVâ€™s and crowded streets. One doesnâ€™t tire, either, of driving it around, parking it and getting in/out. This writer can remember 30+ years ago talking with a female race car driver who had become a consultant for a tire manufacturer. When asked what her favorite car was, she answered her â€˜beloved Fiesta,â€™ with 200,000+ miles on it.Â At that time, probably a much more insignificant car than in 2013, her Fiesta possessed every attribute she expected a good car to have! No doubt for many original Fiesta owners, the same good memories are shared. Probably the best value in its class, Fiesta offers a lot of connectivity and technical features not usually found in budge-priced small cars. Although at times confusing to use, Fordâ€™s SYNC system appeals to younger buyers, as does the possibilities for customizing the car. Those into bacon can even order a stripes and wraps graphic through Ford’s Custom Graphics Dept! Simplified and streamlined for 2013, Fiesta boasts the best fuel economy in its class, bringing in 40 mpg when driving on the highway. The trunk in the 5-passenger is generous and the back seats fold down, although there is a big sloop when the seats are dropped. The interior cabin is sporty and pleasant, and the rear seats offer enough legroom for most passengers, even though headroom suffers some. Fiestaâ€™s strengths include perky performance, segment leading fuel economy, its advanced PowerShift automatic transmission and stylish interior. This is the year for Ford with all their innovation and stylish offerings. Perhaps they will lure previous Ford owners back into the showroom. Engine: 1.6-liter TIVCT Duratech DOHC I4, 120 hp. EPA fuel economy: 29/39 mpg. Chicago to Vermont. Admittedly not a Hybrid fan, nor a potential buyer of a hybrid vehicle, I still can appreciate the value of such transportation. Having grieved the disappearance of the V-8 engine years ago, I can tell you it was welcome news when auto manufacturers decided to bring it back. Driving a car is all about the power and aesthetics. Otherwise, whatâ€™s the point. With this in mind I was determined to focus on the good points of owning a hybrid vehicle; in this case, the 2012 Prius-Plug-In.Â Road-tripping from Chicago to Vermont in the Prius is only one way of realizing the virtues of the hybrid gas/electric vehicle: the obvious-good fuel economy. But that wasnâ€™t all. The Pruis is a very comfortable, quiet sedan and it performed effortlessly on the open road. A modest investment of time and money creates lifelong memories when taking to the road. Heading for Woodstock, VT we traveled through Indiana, Ohio, Pennsylvania and New York. Interstates in this part of the country are excellent, provide not only good, direct routes but also some pretty special scenery. Experiencing North Americaâ€™s greatest natural wonders is the stuff of lasting memories, says mommy blogger Alisa Abecassis. Pick a theme, she advises. It can involve natural wonders (dunes, coastal views), historical spots or holiday themes (July 4). Road trips can be enjoyed alone, with a special canine companion or with a friend; either way, bonding takes place. As car buffs know, bonding can happen with our car, too. 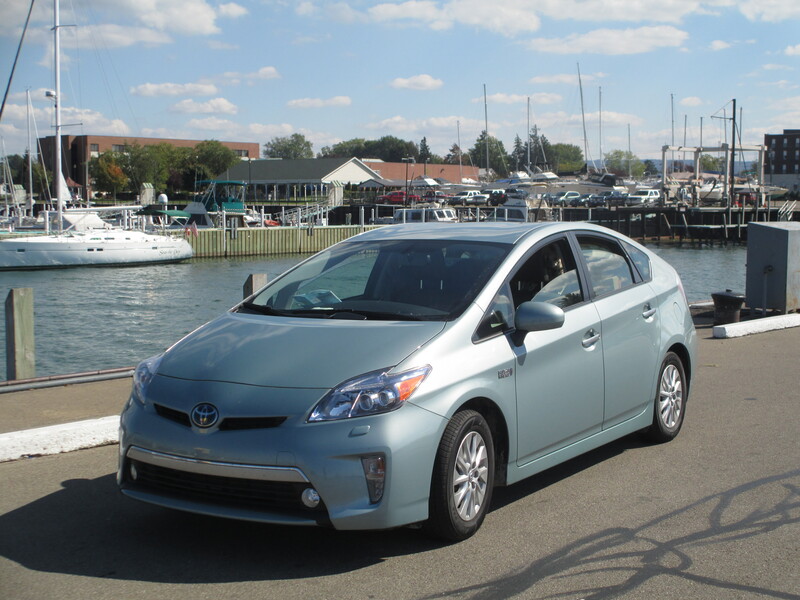 Those who own a Prius swear by its virtues and often tell non-owners that theyâ€™ll be hooked once they take a ride. If only for the great fuel economy, they say. But they know otherwise. There will be such positives as a quiet, uninterrupted ride, ease of operation and even space to tote your stuff. And our 2012 test Prius did pack a considerable load when returning from Vermont to Chicago: family treasures took up just about every empty spot. This writer was amazed at how much it held. The first Toyota to make the big leap in fuel efficiency, the 2012 Prius Plug-in sports all the same features and looks as the 2013. Our seafoam green Prius seemed to reach higher speeds with little effort. Of course, the plug-in isnâ€™t in electric mode too long before miles and speed turn it over into fuel mode. Our route was heavy on hills when reaching parts of Pennsylvania and New York, and of course, glided through Vermont, we see-sawed up/down several hills, thinking if we lived here, weâ€™d surely be replacing brakes more often. Although fuel-economy readouts may be optimistic by federal standards (and Toyotaâ€™s), we managed 48-52 mpg. when in fuel mode. Not really sure of what the hybrid battery pack offered, but we guessed somewhere near 60 mpg. It would seem that the viability of a hybrid/plug-in vehicle might depend on the ownerâ€™s geographic location. Surprisingly, we did not find a single plug-in setup in the nearby vicinity of middle Vermont. 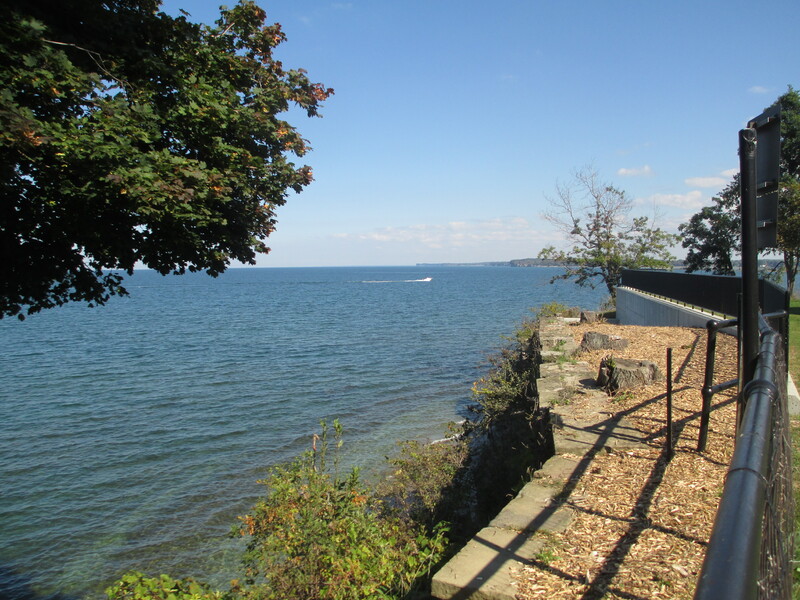 A fact that surprised us since Vermont is surely a very environmentally-friendly state. We also did not see a lot of Priusâ€™ on the road, as expected. The Prius is available in six trims and 11 styles. Our test 2012 Prius came equipped with a few options including carpet floor mats ,trunk mat ($225), cargo mat ($49), first aid kit ($29). The Prius comes with many standard features such as 7-inch touch-screen with back-up camera, AM/FM/CD w/MP3/WMA 8 JBL speakers, Navigation, two front power outlets, 12 ov charge cable, Hill-start assist control, tire pressure monitoring, ER tire puncture repair kit, and Smart Stop Technology, a system that automatically reduces engine power when accelerating and the brake pedal is pressed simultaneously. Those familiar with Hybrid systems know Toyotaâ€™s Hybrid Synergy Drive System utilizes a computer controlled gas engine and electric motor to provide the most efficient combination of power for the vehicle. To conserve energy when the brakes are applied, the braking force generates electricity which is sent to traction the battery. In addition, the engine shuts off when the vehicle is stopped. Â At 120, 2.5 hours are needed to recharge the battery; at 240, 1.5 hours. All this translates into the best driving combination: better fuel economy, reduced vehicle emissions and improved performance. One of the nicest features on the Prius is the Distance Control Mode which sets the cruiseÂ at a certain speed and then decelerates to maintain a selected distance from a slower vehicle traveling in front of you. The vehicle then accelerates back up to a selected speed if the vehicle in front of you changes lanes or speeds up. The system can change the vehicle-to-vehicle distance to long, middle, or short distances. 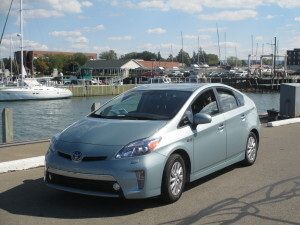 Our road trip to the east coast from Chicago was much more pleasurable in the Prius Plug-in. Worries were left at home knowing there probably wouldnâ€™t be any problems on the road. Seating in the Prius is comfortable over the long haul, and all features easy to understand and operate. The navigation system helped out when in unfamiliar territory and fewer stops for petrol was a plus. All in all, there were few, if any complaints about spending 17 straight hours in the Prius. It handled all roads well and comfortably, humming along at speeds in excess of 60 mph. One had the feeling the Prius could cruise at 100 mph, without any effort at all.